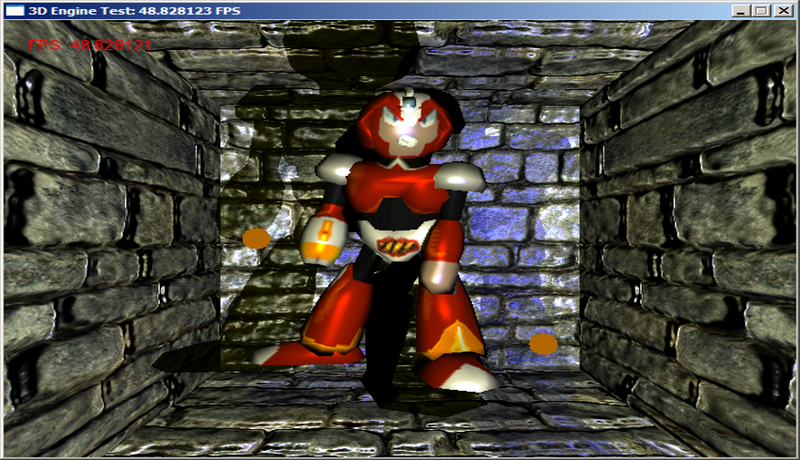 Features Fresnel reflection and refraction fragment shaders and animated normal mapping. 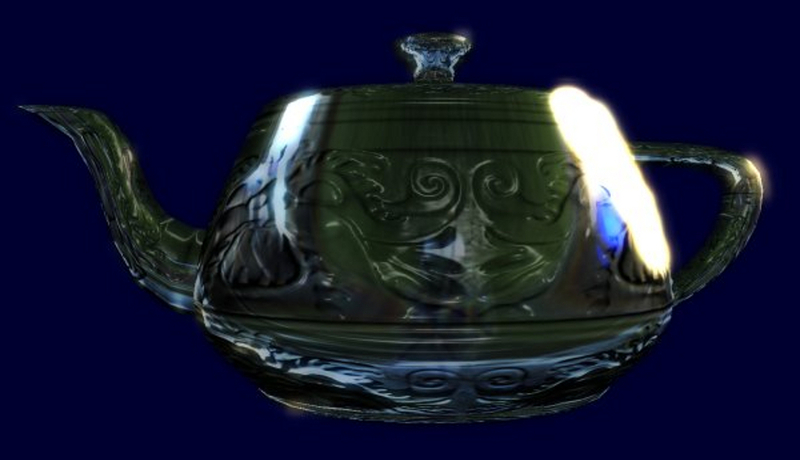 Utah Teapot rendered with GLSL reflection, refraction, bump mapping, and HDR lighting with Gaussian blur bloom and logarithmic tone mapping. 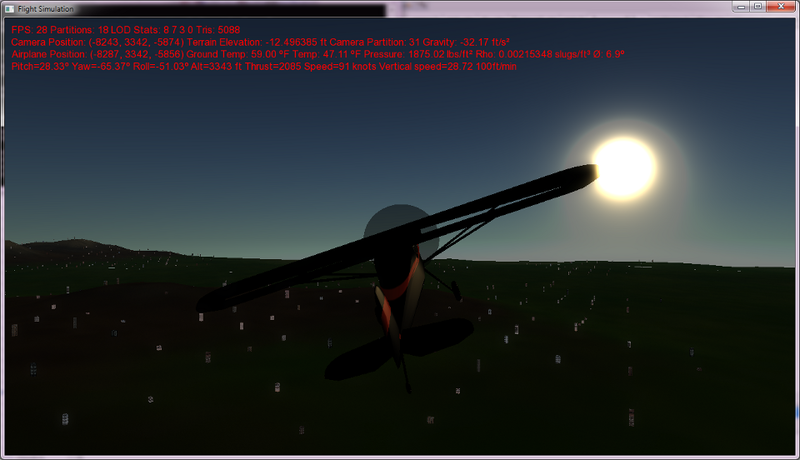 Features GLSL atmospheric scattering, HDR lighting, per-pixel lighting. Landing the Cessna small aircraft onto the runway (using impulse based normal contact and tangential contact friction). 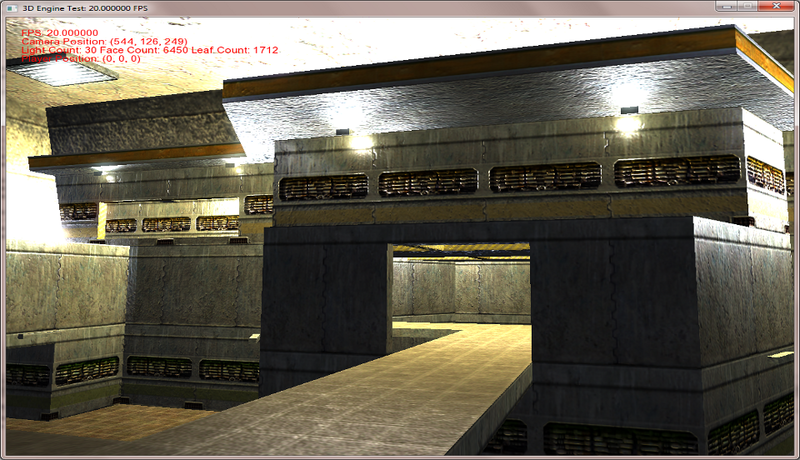 Rendering BSP indoor level using per-pixel lighting and HDR lighting shaders. 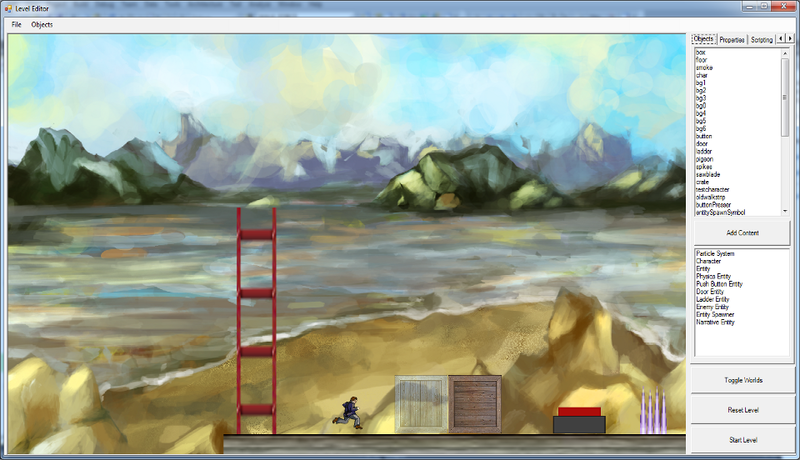 Networked 2D tile-based engine in SDL using UDP network and dead reckoning with linear extrapolation. Emulated 6502 CPU register state shown on top screen. View of simulated instrumentation panel with working attitude indicator, altimeter, airspeed gauge, heading indicator/compass, vertical speed indicator, and roll indicator. 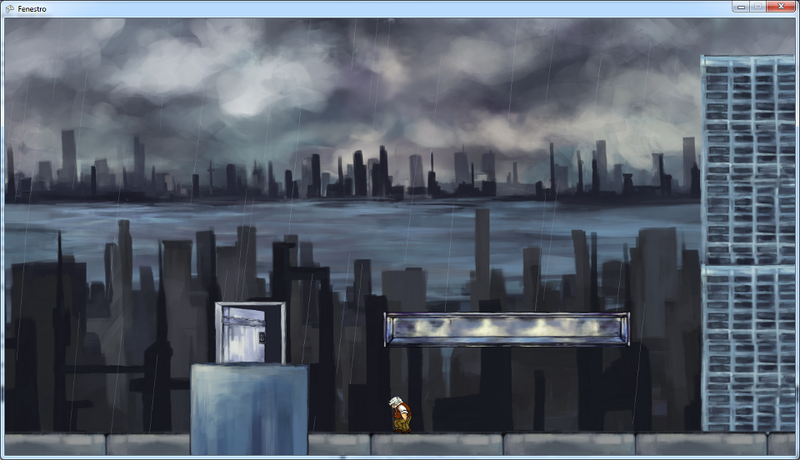 In-game snapshot (you can easily fall down one of the hidden pits using the directional pad as in the real game :). Featuring car physics model with latitudinal and longitudinal Pajecka tire model for tire forces as functions of slip angle, engine torque curves per gear, and automatic transmission model. Racing against the AI car using an interpolated waypoint path-finding algorithm. 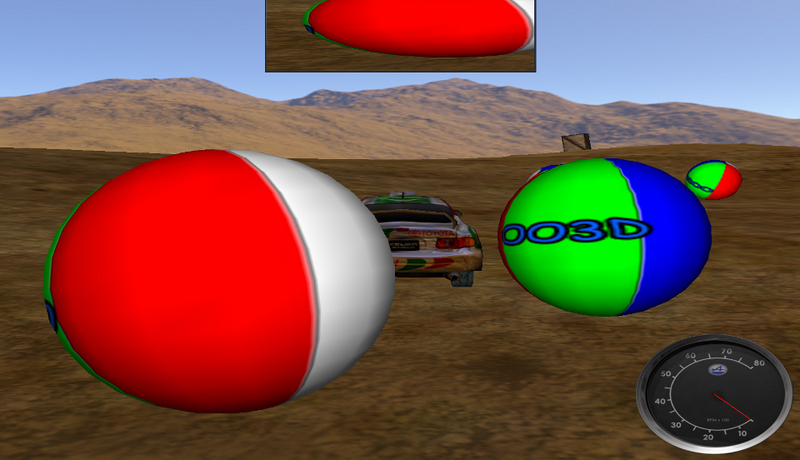 Graphical off-screen buffer for rear-view mirror effect. 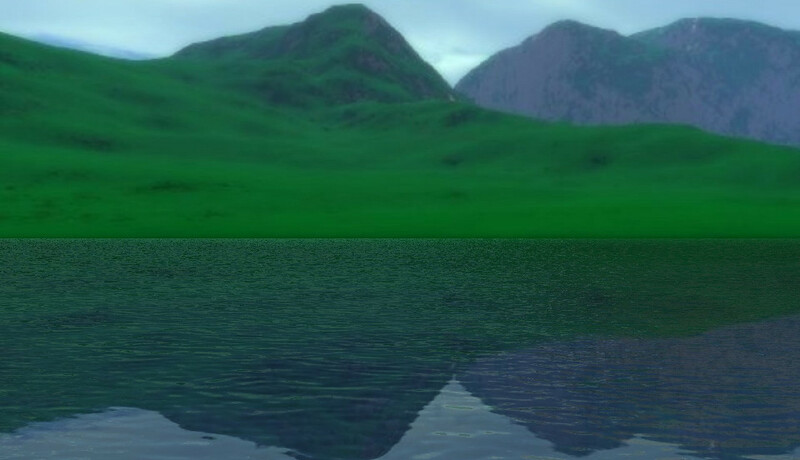 Written in Visual Basic 6 using the TrueVision3D SDK. Mostly a showcase of the atmospheric scattering shaders and dynamically-rendered cube environment map reflection on the car with HDR bloom effects. Notice the bump mapping on the asphalt and concrete textures. Stencil shadows rendered using a technique similar (but not identical) to Carmack's reverse. Notice the self-shadowing on the character's helmet. 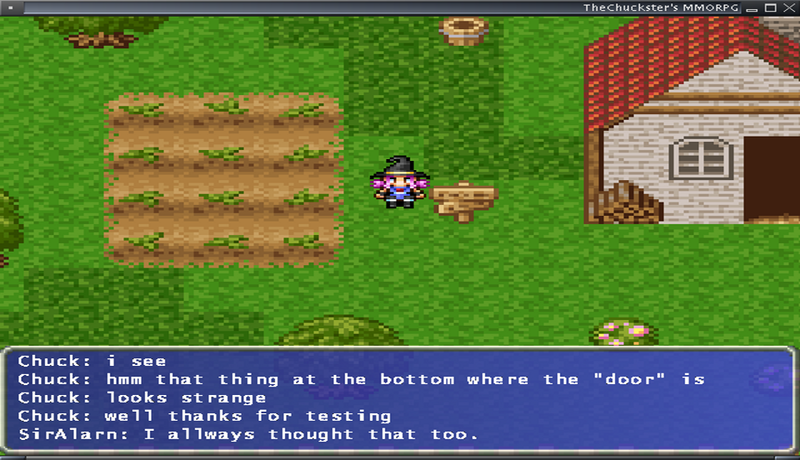 Emulated using the Stella DS Atari 2600 emulator for Nintendo DS. 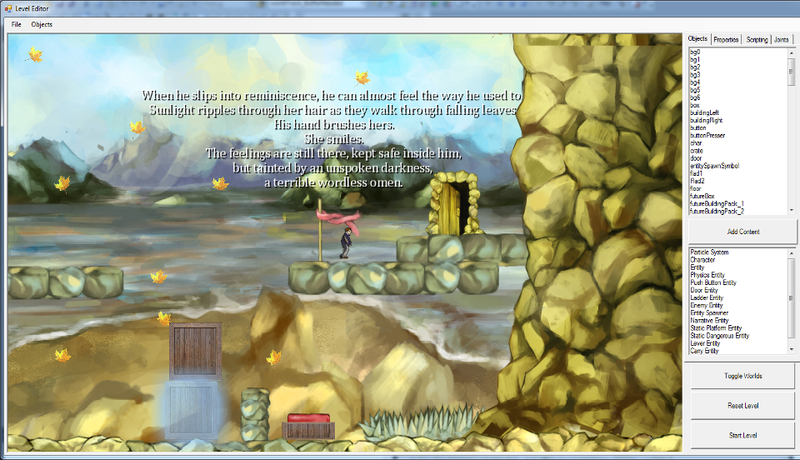 In-game screenshot of "New World" puzzle in Fenestra with old man character. The shimmering objects are revealed through the peeking mechanic, while the blue glow around the crate indicates that it is a transcendent object. 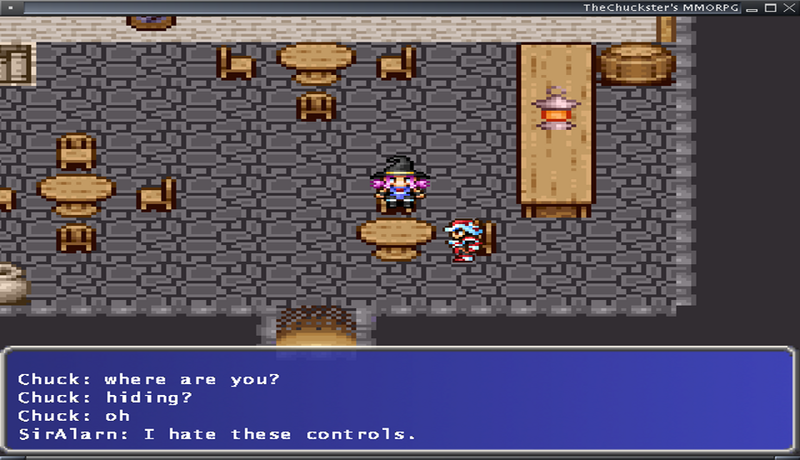 Town level with in-game chat over the UDP network. Side view of the aircraft wing during flight. Performing an in-air rolling maneuver. 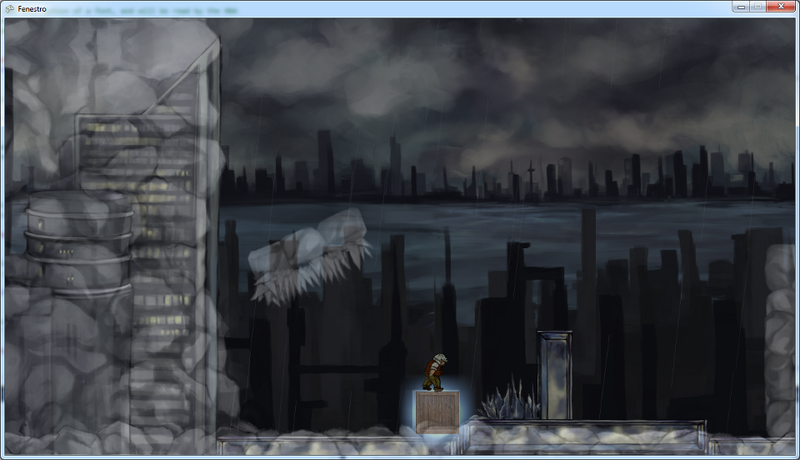 WinForms level editor with embedded XNA context showing an active narrative "sign" entity. Objects and textures lists are dynamically generated from reflection and the file system respectively. 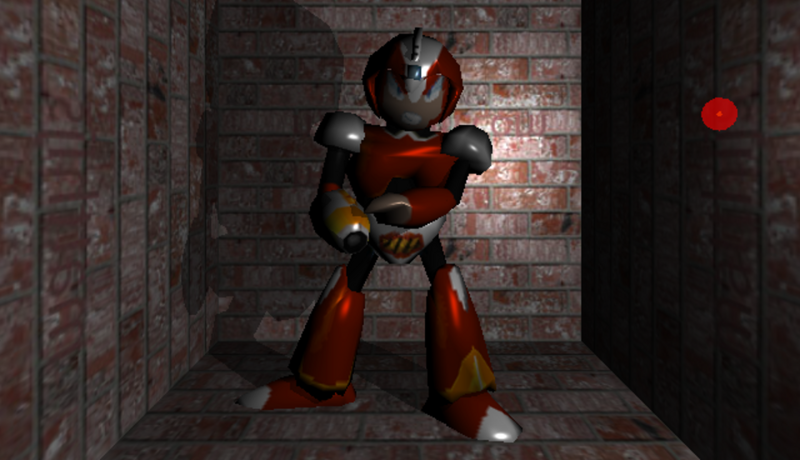 Multiple light sources with one pass per light rendering, overlapping stencil shadows, and parallax mapping. Visual illustration of the tangent space coordinate system used for bump mapping. 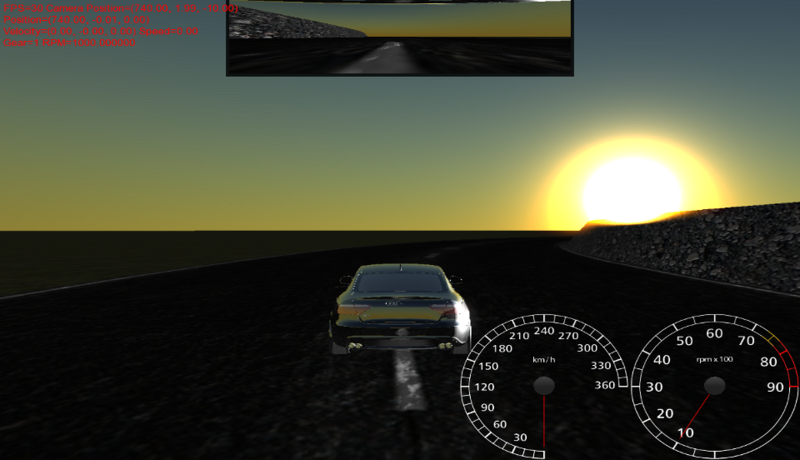 Early car driving demo using Open Dynamics Engine physics with obstacles and terrain engine. Title screen for DS Doom with debug console output shown on the bottom screen. Tail view of the Cessna aircraft after take-off. Showing multiple light entites being rendered from a BSP map. 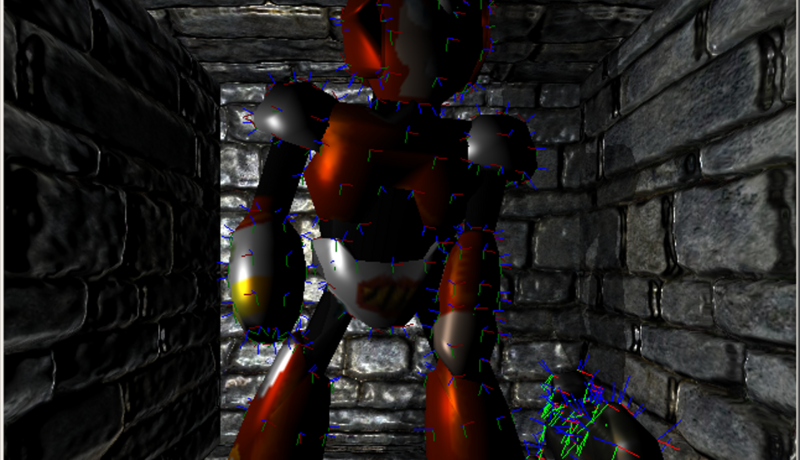 Later support for textures that act as emissive light sources was added. Physically accurate sunset rendered with HDR halo effect produced by analytically-computed Mie scattering of sunlight. 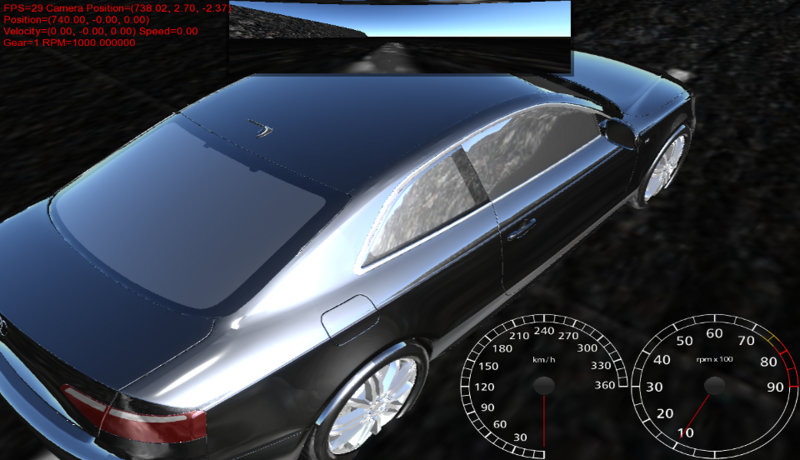 Illustrating the motion blur shader effect while cruising at 165 km/h. 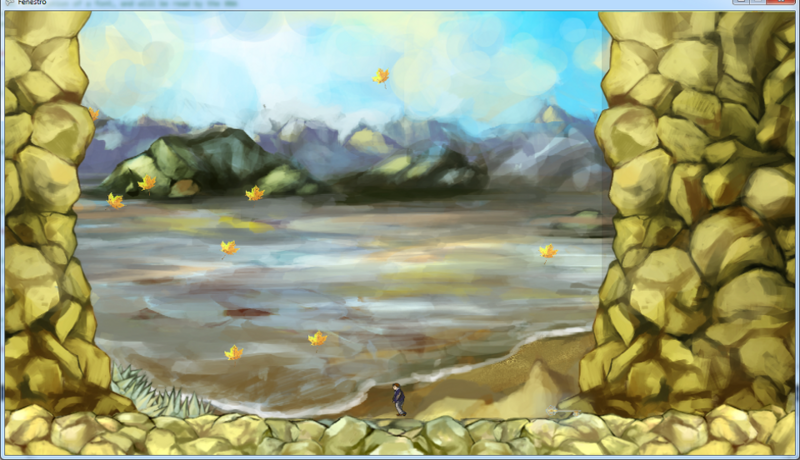 Falling leaf sprites animated with parametric sinusoidal trajectories in the new world, along with parallax scrolling effect. Light bloom generated by HDR lighting from the emissive textured light sources in the BSP level. Showing ladder entities, push-button entities (connected by spring joints in the physics engine), sliding boxes, and spikes. 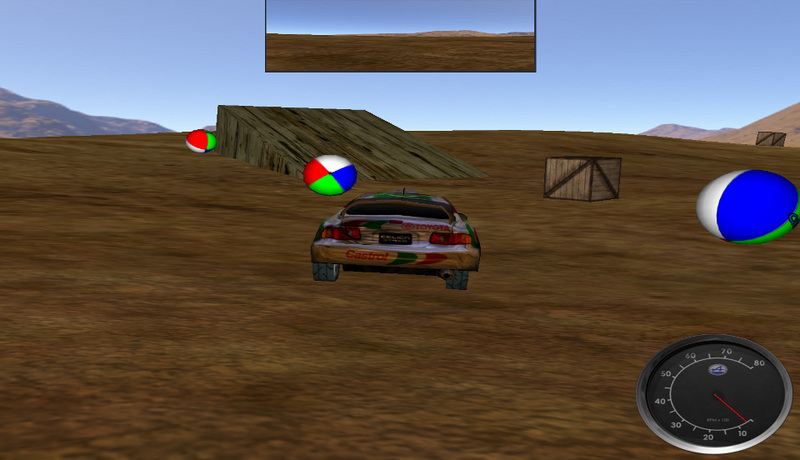 Open Dynamics Engine car-driving demo with beach balls, crates, and a ramp as obstacles. 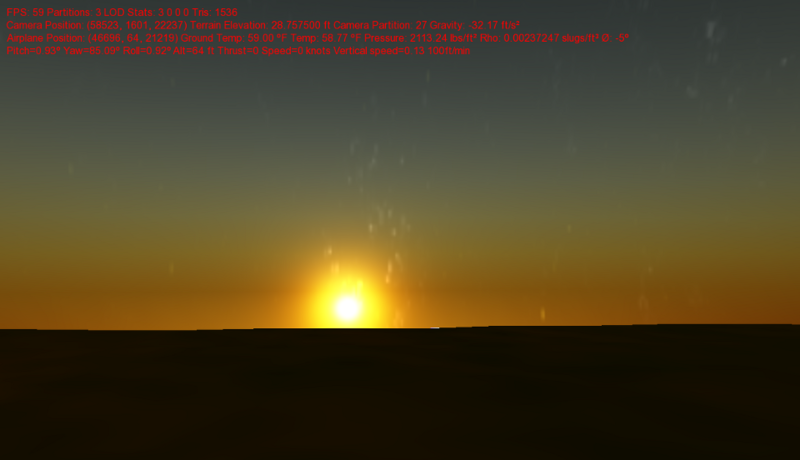 Sunset using an analytically-computed sky model with blended starry nighttime skydome texture beginning to show. Beginnings of GUI interface to audio synthesizer with oscilloscope, oscillators, ADSR sliders, knobs for controlling filter and reverb. Side view of the aircraft during take-off. 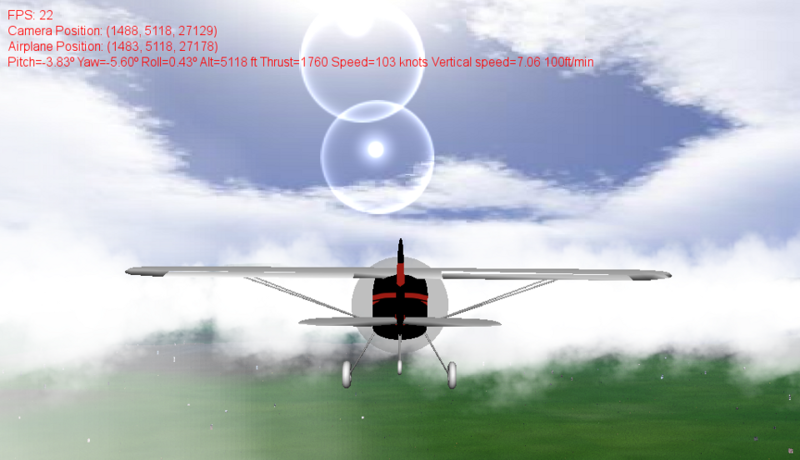 Straight and level flight with 2D billboard halo effect and cloud rendering. 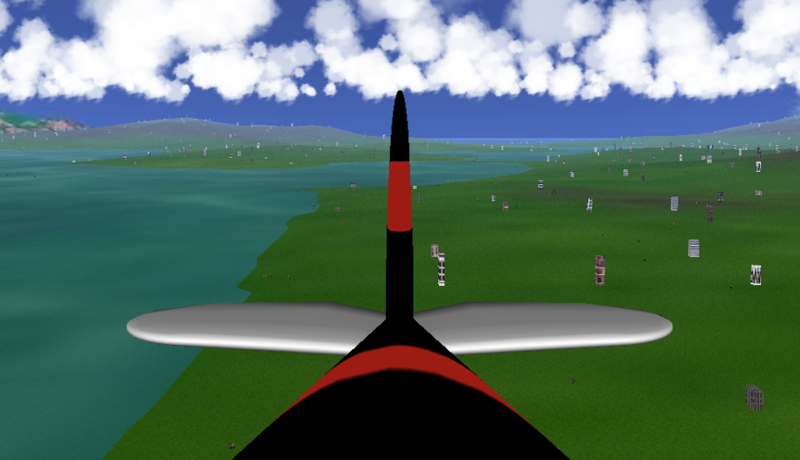 Sitting on the runway with the engine off, showing the terrain, runway texture, and randomly-placed 3D textured buildings. 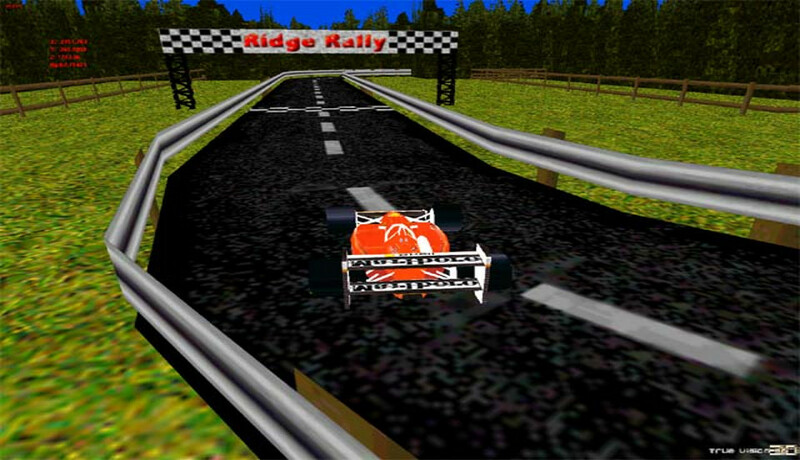 Early racing game demo created in Visual Basic 6 with TrueVision3D SDK. The racetrack is a Half-Life BSP. 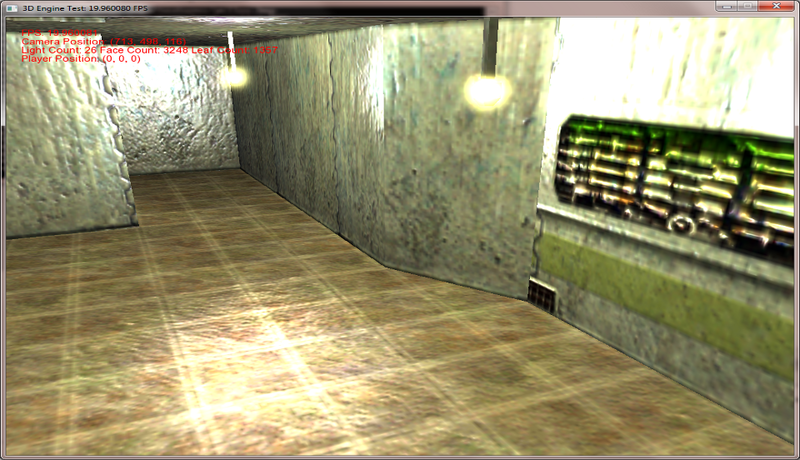 HDR glow effect from light entities in indoor BSP map. Polygonal Mars Spirit rover 3D model real-time raytraced using Nvidia OptiX, HDR lighting, and custom shaders for reflective/refractive surfaces. In-game snapshot of Doom port running on Nintendo DS Lite with console text output on bottom screen. 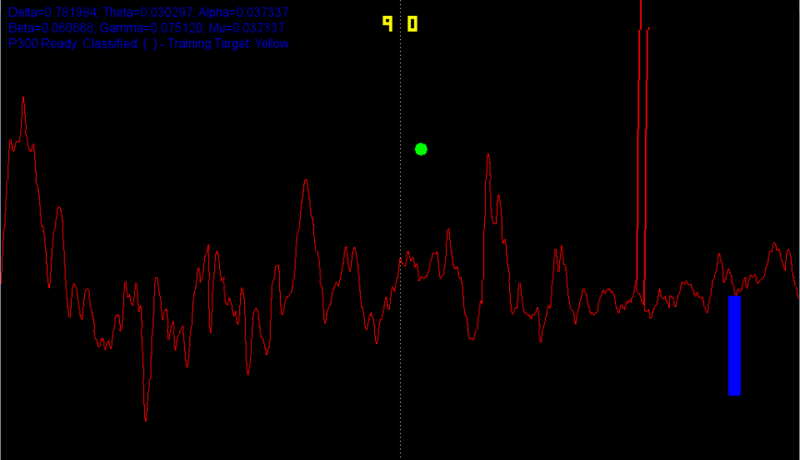 EEG waveform with frequency spectra used to play the game Pong using brainwaves with an alpha-wave relative spectral power concentrate-relax control method. Chatting with another networked player over UDP protocol inside a tiled pub map with trigger entities to change the level. 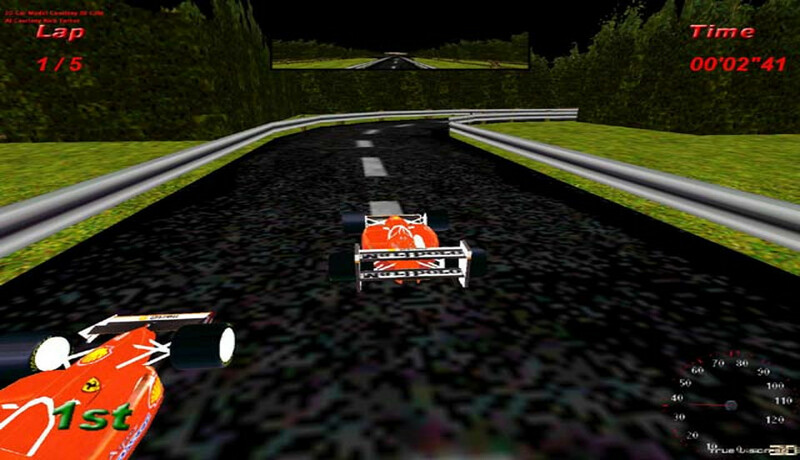 Car model rendered using a dynamically-rendered cube map texture reflecting the asphalt road, concrete barrier, and sky. The open doorway indicates an already-completed level in this level selection stage (much like the ones in the Mario 2D platformers). Breadboard prototypes of microcontroller, power supply, DAC, opto-isolator, and EEG amplifier circuitry with unconnected Contec EEG electrodes. The pong game is running in software but the real-time waveform is merely noise. Co-founder and CTO of BlockSchool, a San Francisco-based company that is building the world's first online CS school for kids featuring live tutors. In my spare time, I enjoy playing didgeridoo, distance running, and listening to EDM music. Few video games are more basic than Pong, but Charles Moyes and Mengxiang Jiang’s version is incredibly complex. The two Cornell University students built a custom electroencephalography (EEG) device so they could control the game’s onscreen paddle with their minds. Built a robust Brain-Computer Interface (BCI) using single-channel electroencephalography (EEG) with an AVR ATmega644 microcontroller where the user is able to play Pong using their brain waves. Featured by Engadget, CNet, New York Times, Popular Science, CBC News, Slate Magazine, PC World, Mashable, Hackaday, Adafruit, German National TV (ZDF kulturpalast), TechFest 2013 conference at Indian Institute of Technology, Bombay campus. Wrote a rigid body sound synthesis engine using modal synthesis and contact force projection over a system of ODE mass-spring-damper oscillators [O'Brien 2002] with a tetrahedral finite element model in C++. Developed a rigid body dynamics engine using the projected Gauss-Seidel method [K. Erleben 2007] to iteratively resolve contact forces. Was able to model the sound of objects hitting glass, along with striking resonating bells in real-time. Developed XNA game engine featuring in-line scripting (pre-compiled and dynamic using .NET reflection), WinForms GUI level editor with embedded XNA context and C# scripting, hierarchical structure of MVC-patterned game entities, Kinect NUI controls with moving averages for jumping detection and time-domain motion filtering for arm movements, refraction and glow FX shader effects, Farseer 2D physics engine, sound engine with dynamically-blended music tracks, and Xbox 360 port. 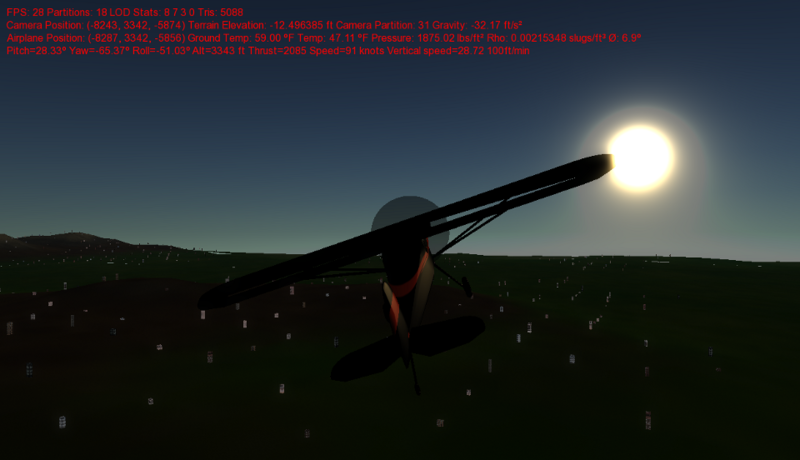 I created a realistic software-based flight simulation of a Cessna aircraft using my own Newtonian rigid body dynamics engine, an accurate FEM (finite element) flight model, and my own OpenGL 3D engine in C++. 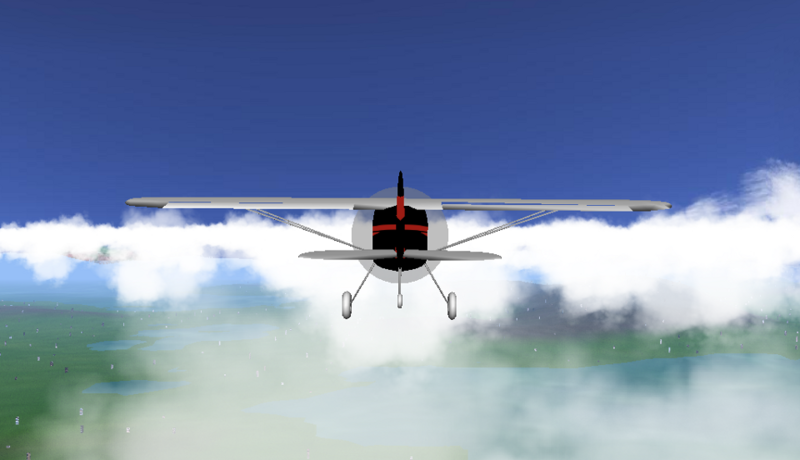 Partitioned the simulated Cessna aircraft into simplified lifting surfaces, such as elevators and wing sections. Empirical NACA wind tunnel test data for cambered airfoils is used to calculate velocity, angle of attack, and lift and drag coefficients. 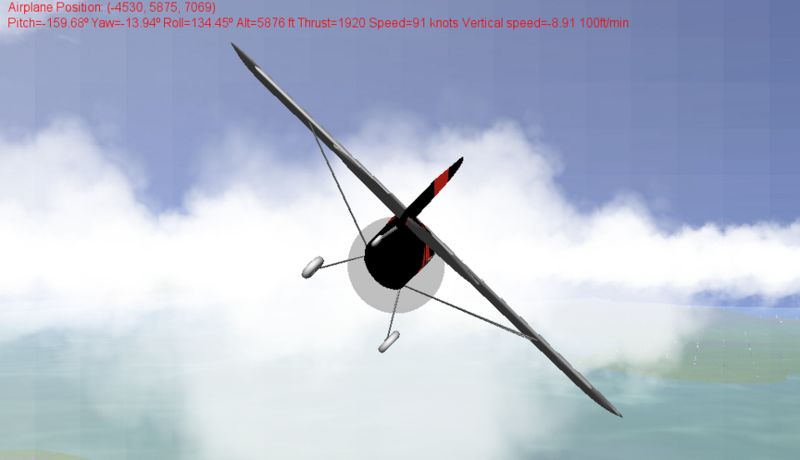 The lift, drag, thrust, and gravitational forces are numerically integrated via the Verlet method [Dummer] to determine the position of the airplane. Rigid body contact forces are resolved iteratively using velocity impulses and positional penetration depth corrections [Mirtich and Canny 1995]. The results are graphically rendered onto the screen in real-time, responding to user input via keyboard controls. Atmospheric scattering [O'Neil] sky color calculations, quad-tree LOD terrain rendering, and cloud rendering lend graphical realism to the project. WIP WebGL in-browser demo with accelerometer controls using three.js and Physijs. Future plans for Leap Motion NUI integration. I built an Intel x86 compatible 32-bit Operating System in C and ASM bootable using GNU GRUB. The monolithic kernel features interrupt-based system calls, a keyboard driver, a console I/O driver, a basic error handler, a command line, FAT12 file system support, and the execution of stand-alone C applications. There is a paging memory manager with process virtual address spaces and DMA, and support for preemptive multitasking using a round robin task scheduler. ELF user-mode (Ring 3) binaries are loaded for the shell and testing applications. 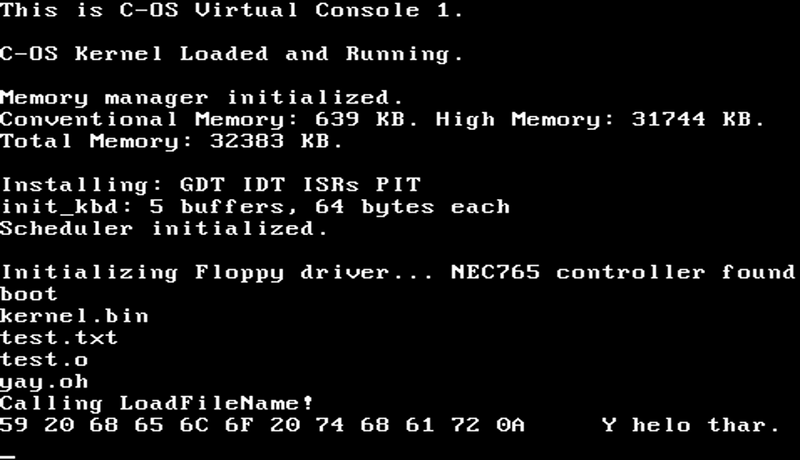 The user applications are loaded using a floppy disk controller driver. Testing is accomplished using the Bochs x86 PC simulator. I wrote a software audio synthesizer that parses MIDI data from my M-Audio Axiom keyboard. It has polyphonic sine wave, sawtooth, square wave, and white noise oscillators. A Butterworth low-pass digital FIR third-order polynomial filter with resonance is used for subtractive synthesis. There is also rudimentary support for ASDR (Attack, Sustain, Decay, Release) envelopes. 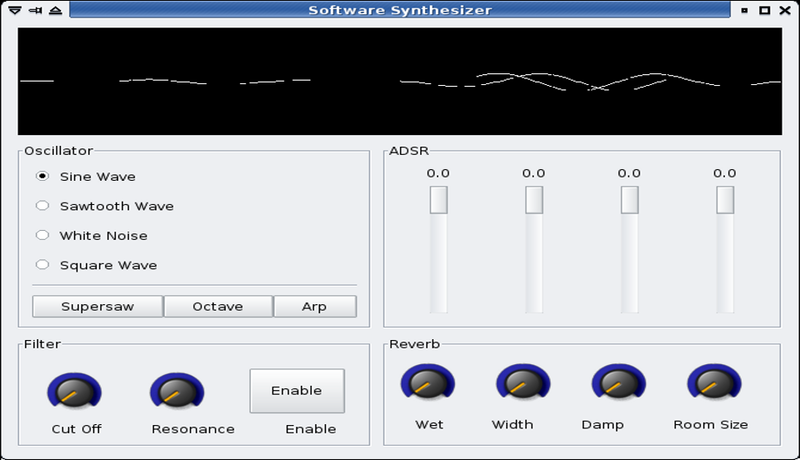 Effects include reverberation, bit crusher, pitch bend, phaser, and chorus (using 7 simultaneous, detuned oscillators). The graphical user interface uses the GTK library. I've lost interest in Metroid Prime: Hunters for my DS again. I just can't get over the nagging criticism that I'd much rather be playing either a real Metroid title or a real FPS, not the two lamely mashed together. Gimme Doom any day. And lo and behold, some homebrew programmer has! 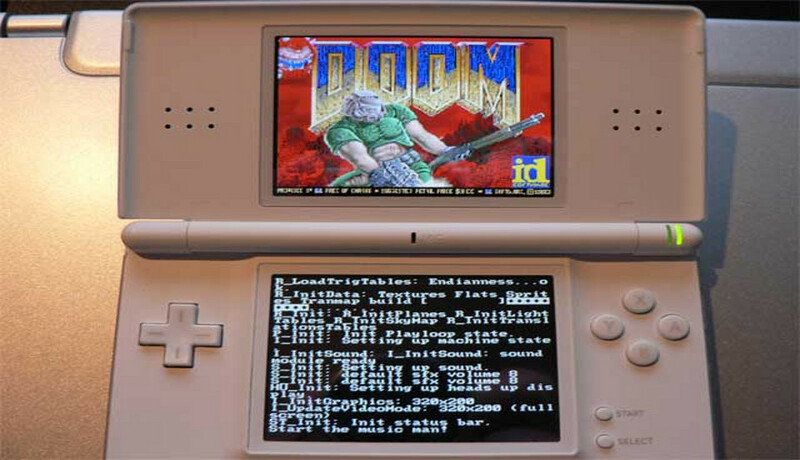 Ported the PrBoom fork of the Doom engine to Nintendo DS using Nintendo DS SDL library. Added wifi multiplayer support using Stephen Stair's DS Wifi library. WIP Yamaha OPL3 FM synthesizer emulator on ARM7. Received over 13k downloads on day one and media coverage from Kotaku, 1-Up, DCemu, Drunken Coders, and Digg. Ported the Stella Atari 2600 emulator to Nintendo DS using Nintendo DS SDL library. ROM file browser using Michael Chisholm's Nintendo DS FAT library libFAT with DLDI support (shared my file browser implementation with Troy Davis for his Commodore 64 DS emulator, FrodoDS). 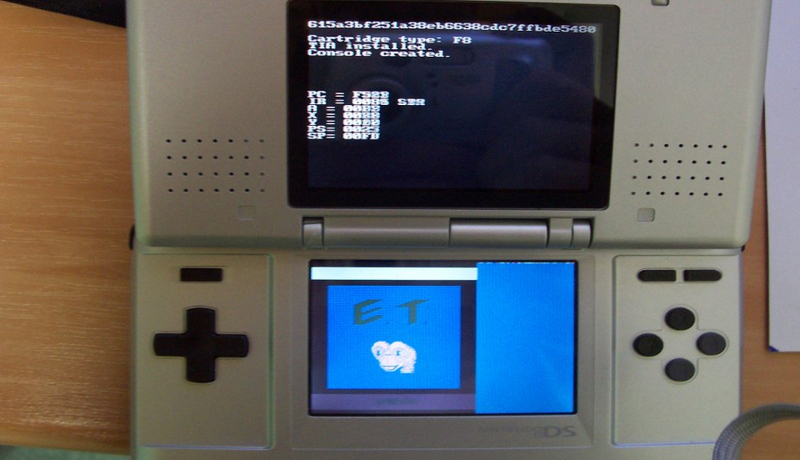 6502 CPU core emulator runs on DS ARM9. Atari Television Interface Adapter (TIA) graphics outputs to Nintendo DS graphics MODE_FB0 framebuffer. 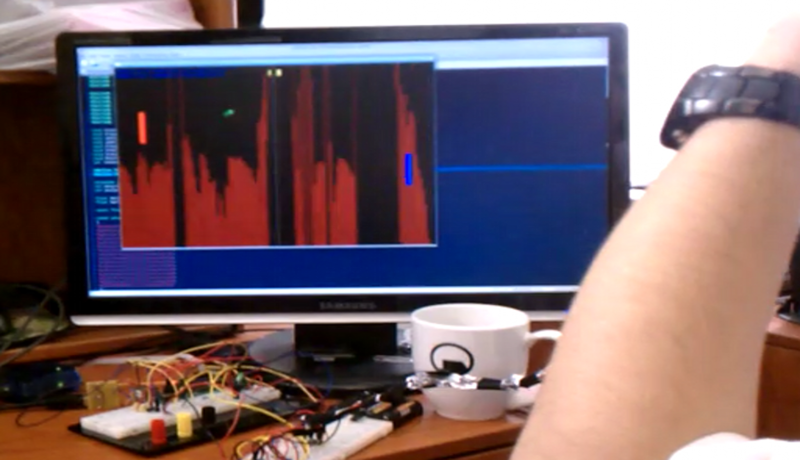 Streaming audio output support using a ring buffer which sends samples to the ARM7 processor using shared memory IPC. Listed on Zophar's Domain and Dev-Scene DIY gaming web sites. I have been recently working on an updated version of my 3D engine that features effects such as GLSL shader support, cubic environment mapping (reflections and refractions), high dynamic range HDR lighting, per-pixel lighting, bump mapping, parallax mapping, and chromatic aberration. 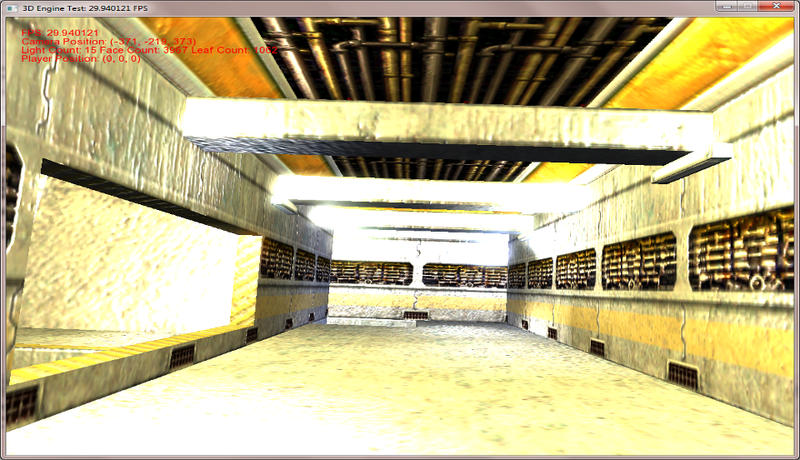 The engine supports rendering key-frame animated Quake 2 MD2 models and Quake 3 binary space partition BSP indoor environments. 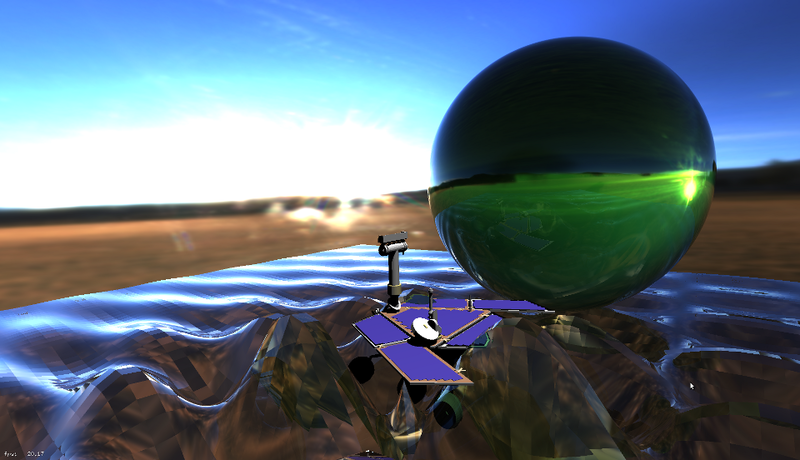 The engine also features rigid body dynamics and outdoor terrain rendering (with sky boxes and water). Shadows are rendered using the stencil buffer technique. I plan to add support for variance shadow mapping, GLSL atmospheric scattering, and screen-space ambient occlusion (SSAO). I am also interested in deferred shading and real-time global illumination techniques for rendering photorealistic lighting. Copyright © 2013, Charles Moyes. Contact me at cwm55 atsign cornell dotsign edu.